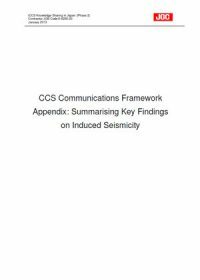 This report examines whether there is a correlation between CCS and seismicity through a review of key existing literature on the subject. 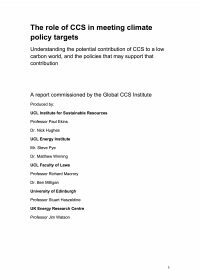 This report is a contribution to the second phase of a project being undertaken for the Global Carbon Capture and Storage Institute (GCCSI) entitled “Development of Knowledge Sharing Framework for Japan”. In partnership with the Global CCS Institute, JGC Corporation, Quintessa, National Institute of Advanced Industrial Science and Technology (AIST) and McKinley Consulting established and have been running a knowledge sharing network amongst several of the Institute’s Japanese Members since December 2010.
how the Institute can distill detailed expert knowledge and present it in a simpler form that can be understood by stakeholders with different levels of scientific/technical literacy. development of an ‘Argumentation model’ supporting CCS in Japan.